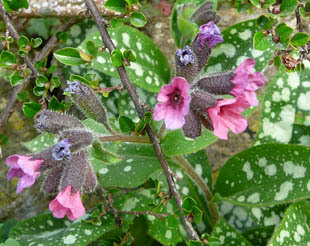 the South and least common in the Northeast. 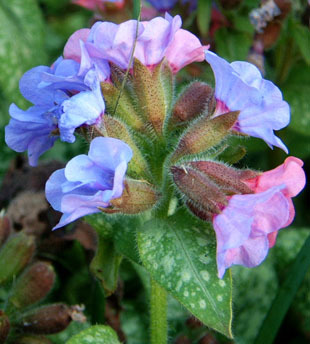 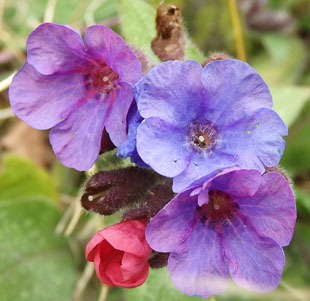 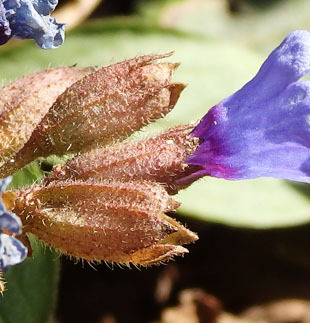 Lungwort is a rhizomatous, perennial herb, growing up to 30cm. 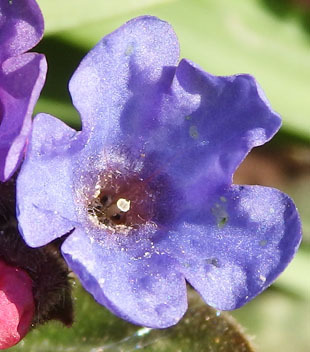 form a tube within the calyx and an expanded corolla above it. 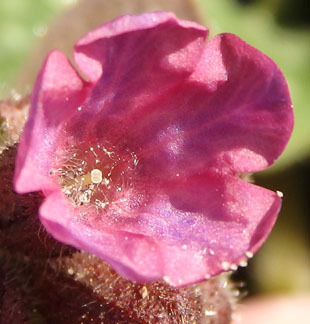 The capitate stigma is prominent. 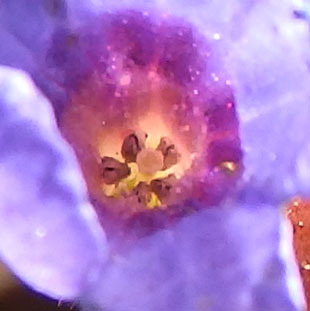 The 5 stamens are at the base of the flower, above the tube. 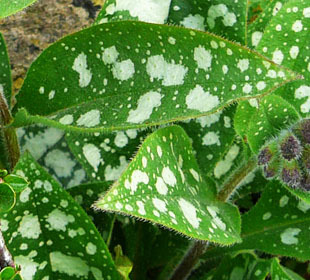 Leaves are deep green with mamy irregular pale spots. 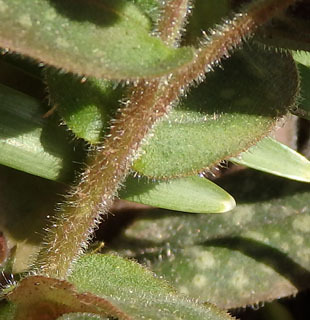 The stems are covered in downy hairs.